There are, of course, games (or at least campaigns) in which combat is not prominent, or even a focus. Sometimes it’s just to be avoided because the assumption is you’re spectacularly outclassed. I recall a game of Call of Cthulhu back when I was in high school where I was warned by either the other players or the GM that while our characters might be packing a pistol, shotgun, or maybe even a military weapon, that such things are to be used on the human variety of bad guy – cultists and the like – because any eldritch horror we might come across would be basically immune to it, and would drive us insane anyway. That being said, that same group of friends and I played a game of Cthulhu Now, if I’m not mistaken, where we did go head-to-head with some minor horror, with modern weapons (my dimly recollected memory says a Steyr AUG was in my hands, because at the time I was much a fan of the Steyr AUG), and came out on top. Briefly. Because, well, Cthulhu. One goes insane in the end. I believe I used a magical frost-wand of some sort to freeze my fellow player solid (in my defense, he was not behaving like a well-adjusted member of the human race at the time), then break him into chunks, squash them, and watch them thaw. Yeah, my character was the well-adjusted one. Sure. The column will focus on combat in games, mostly to the exclusion of other things. It will of course include fighting, but also how fights start and end. It will spend a great deal of time looking at game mechanics along the way, and will probably spend a lot of word count looking at what kind of storytelling environment is created by those mechanics. As the blog progresses, I’ll frequently be looking at combat with examples from different games. There will be others from time-to-time – notably when I have an anecdote from games I’ve played (or stopped playing) in the past. But by and large, I’ll explore this topic by looking at how certain games handle things. I’m going to refer to D&D5 here frequently, because you can’t talk about RPGs – especially combat in RPGs – without talking about the moose in the room. D&D-based games dominate the market of tabletop RPGs that all other games combined are pretty much an afterthought. I’ll use D&D5 as a proxy for the kind of resolution system that is found as variations on a theme in Pathfinder, the D&D-derived Old School Renaissance (or Old School Revival? Maybe both! ), and other games that are recognizably the same basic mechanic. All are recognizable as essentially the same game that I learned to play when I was 10 years old, roleplaying for the first time in 1981 – the Basic/Expert D&D boxed sets, followed by AD&D. Stepping into Swords and Wizardry, Pathfinder, or D&D is usually a matter of fine-tuning. You may need to understand the proper use of a Feat hierarchy, or what will kill your character as opposed to knocking him out, or get the feel for various special mechanics, such as the Advantaged/Disadvantaged mechanic newly introduced in D&D5 . . . but by and large if you’ve ever played D&D you’ll understand what’s going on pretty fast. As the largest player in the gaming scene, the D&D assumptions are what can be taken as a near-baseline for what players expect. Rolling dice to meet or exceed a target number, damage taken as hit points, and other mechanics that are staples of this game are easily embraced and discarded with some peril. But more on that later. It is quite unreasonable to assume that as a character gains levels of ability in his or her class that a corresponding gain in actual ability to sustain physical damage takes place. It is preposterous to state such an assumption, for if we are to assume that a man is killed by a sword thrust which does 4 hit points of damage, we must similarly assume that a hero could, on the average, withstand five such thrusts before being slain! Why then the increase in hit points? Because these reflect both the actual physical ability of the character to withstand damage – as indicated by constitution bonuses and a commensurate increase in such areas as skill in combat and similar life-or-death situations, the “sixth sense” which warns the individual of some otherwise unforeseen events, sheer luck, and the fantastic provisions of magical protections and/or divine protection. Therefore, constitution affects both actual ability to withstand physical punishment hit points (physique) and the immeasurable areas which involve the sixth sense and luck (fitness). Heady stuff there, with the assumption that loss of HP represents purely physical injury (as, for example, it does in GURPS) explicitly held out as “preposterous.” Likewise, one of the explanations for the old “one minute” combat rounds in D&D (which were later chopped down into segments of shorter duration) was simply an extension of that abstraction. Still – the core mechanics of D&D, like them or hate them, are the default, and comparisons will often start here. Steve Jackson Games’ Generic Universal Role Playing System has to be on the list. More specifically, it has to be on my list, and near the top. Simple reason: I write for it, nearly exclusively. With one book under my belt (GURPS Martial Arts: Technical Grappling . . . and you better believe Violent Resolution will give some love to grappling mechanics at some point), three Lead Playtester credits, and something like a dozen articles either published or submitted for publication to Pyramid Magazine, this is my go-to game if I have to GM anything. It’s also one of the games on the market that enables fine-resolution of combat tactics and details, to the point that it can be said to characterize the game to some extent. In a broader focus, this general class of games are more simulationist-friendly. With a one-second combat time scale and fine distinctions allowed for thrust vs. swing, hit locations, damage types, and a damage/armor penetration scale that can be supported using a physics model based on real-world units, if you can’t do it “realistically” using GURPS, you’re probably not trying hard enough. Though whether or not you should be trying at all is a matter upon which no small amount of vitriol has been applied. 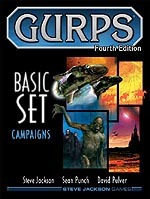 If GURPS is high-resolution where it comes to combat (and it is), then perhaps the polar opposite might be found in the GUMSHOE system, which was originally written by Robin Laws and debuted with The Esoterrorists game in 2007. More recent offerings include Trail of Cthulhu, and the latest new game as of 2012 was Kenneth Hite’s Night’s Black Agents. The premise here can be summarized as ‘what would happen if a bunch of guys with the same talents as your typical Jason Bourne were to go up against the Vast Bite Wing Conspiracy?’ That is, a world where most of the high-level strings are pulled by actual vampires. The combat resolution mechanics here are somewhat unique in that they’re extremely coarse-grained. You wind up rolling 1d6 against a target number of 4 for just about everything that uses General Skills (and not rolling at all if you’re using the core conceit of the system – Investigative Skills), and the key bit for a character with a lot of points in fighting skills isn’t necessarily that you can hit harder, or more reliably (though both may be true). It’s that your high “skill level” in fighting gives you more opportunities to be reliably awesome while “on camera.” If your skilled Sniper is awesome too many times (spends points for success) in a game, between point refreshes, you will find yourself no more likely to hit than the Field Medic. It’s a very different currency than either GURPS or D&D – so different, that it’s worth dealing with, because with a game like that, you make different choices and resolve conflicts differently – violent or otherwise. Derived from FUDGE, the Fate system (in its fourth edition with Fate Core and Fate Accelerated) treats combat with special rules called Conflicts – and they can be either physical or mental. Fate is either extremely crunchy about being abstract, or extremely abstract about its crunch. Not sure. It’s strongly and explicitly narrative in nature. An attack is made with an appropriate skill or Aspect, and defended against. You and your foe both roll, and compare totals – your total on four Fudge Dice (basically a six-sided die on which you can roll 1, 0, or -1) plus any bonuses or penalties that come with the action. If you succeed, you may either inflict consequences or gain a “boost,” a temporary, spendable Aspect that goes away as soon as it’s spent – perhaps your foe’s off balance? There are no hit points, per say, but there are consequences and “stress,” which can impair you. Consequences are like wound levels. Bad bruising that lasts a scene is one type of consequence; being gutted with your entrails dragging behind you is another, legit consequence. If your foes are out for your life, and you’re taken out of the fight (that’s a term of art with game-mechanical weight behind it), they can declare you dead, captured, maimed – anything reasonable. My Blade Strikes True. Once per conflict, you can force the opponent to use a mild consequence instead of a 2-point stress box on a successful Fight attack with your heirloom sword. Or, just trying this myself . . .
Go For the Eyes, Boo! During a fight, you can spend a Fate Point after a successful attack to force the foe to take Blurry Vision as a 2-point consequence. Not sure if it’s fair or good, but that’s the kind of thing you’ll see in Fate combat. Instead of a series of rolls to adjudicate a Judo Throw, you might use Physique to Create an Advantage, perhaps throwing your foe to the ground and giving him an Aspect that must be dealt with before he can fight on even terms. Both in terms of its narrative bent, and the spectacular departure from “roll to-hit against your foe’s Armor Class,” Fate is a game that lends itself well to thinking about things differently. 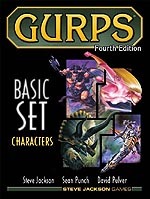 It’s also quite crunchy, and relies heavily on GM and player improv, if in a nearly opposite way to the more concrete and defined trend found in GURPS. 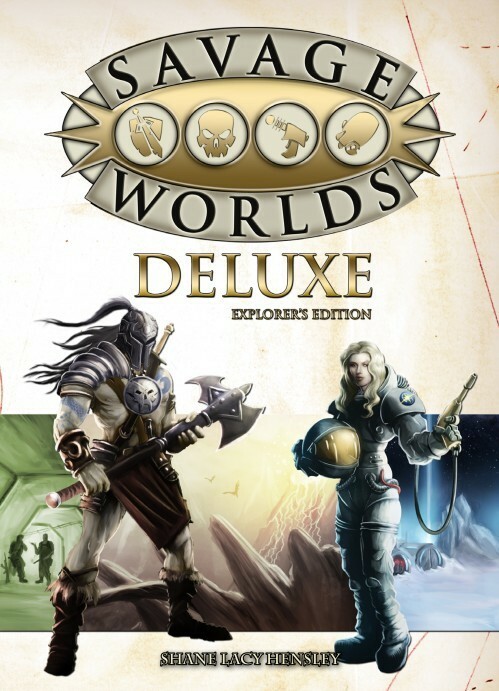 A relatively newish system – and definitely new to me – I’ve seen Savage Worlds likened to the old West End Games d6 Star Wars system in terms of fast-and-loose, dramatic, generic play (though plenty of support is available by custom worldbooks and genre guides) that nonetheless supports some level of tactical play, and especially supports and encourages cooperation. The Basic combat mechanic is a bit of a blend of D&D and Fate: you roll your dice against a target number set by your foe (for example, Parry is 2 plus half your fighting die, so if you’re a good fighter and have Fighting at d10, your parry is 7). If you exceed that, you hit. Damage is rolled the same way – as dice (frequently more than one) compared to a toughness score. However – and this is where similarities to Fate can be seen – the dice can sometimes “explode,” so that a maximum roll allows another additive try at that die, and either that feature, or just rolling really well, can give you “Raises” – terminology borrowed from the Deadlands RPG (1996) of Cowboys and Zombies. These raises can give bonus effects, and basically create success levels similar in concept to Fate’s shifts. Some control over the environment can be found with the use of “bennies” in combat to reroll hit rolls or soak damage, giving the player some control over the narrative. Savage Worlds is given high praise for being a fast, adaptable game with unique mechanics that is highly customizable, and less intensively front-loaded than GURPS or Fate. With those five games in mind and frequently used as examples, Violent Resolution will take a look at subjects related to violence in gaming. I might map out a real-world fight or sparring exchange using the different systems. Or look at injury, stress, wounding, and death as it can occur. The game mechanics and dice mechanics of the different systems, and how they facilitate certain kinds of fights or stories. Or just trying to figure out which system has the least-hated grappling rules. Apollo Creed: You know, Stallion? It’s too bad we gotta get old, huh? Rocky Balboa: Ah, just keep punchin’, Apollo… you want to ring the bell? Apollo Creed: Alright… Ding. Ding. I'm going to mention the Dangerous Journeys (DJ) system, because it points out something of what Gygax was leading to with his "re-vamping" of AD&D. With DJ he went with skill based instead of levels, and a low percentile roll instead of the old high d20 roll. But that said, the system has many of the same mechanics as D&D. Initiative works much the same, armor in effect does as well. The big difference when it comes to bonking people is in how damage is done, and how much damage a character (Persona in DJ) can handle. In a sense Gary was doing a more realistic combat system, in that we are really not that fragile, and can take a lot of damage before we expire. Once met a fellow who thought that 90 hit points (from a Physical Trait of 90) was too ungodly much, deliberately overlooking the fact that a broadsword for example can do between 4 and 96 points of damage depending on the roll of the dice (2d6) and the location of the hit. (I like to think of it as the quality of the strike). At present I'm now working on making combat really chaotic,because it produces the chaotic results you see in real life, and avoids the need for any special mechanics to model that sort of thing. That said,I look forward to more posts on your take on combat systems. One test of a combat system for a heroic type game is weather it lets characters get into sword fights in which a better fighter (even if unarmored) is harder to hurt and can fight for a lengthy period without being scratched even if unarmored, just like a movie. In D&D a high level fighter can do this because Hit Points don't represent physical damage, so your AC 10 (AD&D) fighter can soak up lots of hits just represented as "exhaustion". In GURPS or Runequest a good fighter can parry each turn and still attack. On the other hand, The Fantasy Trip was a failure in this regard: there was no way to defend yourself while still fighting, so you could never emulate a swordfight as detailed in fiction or movies. How did DJ do it? nteresting summary of several very different systems. From my own perspective, I find NIGHT'S BLACK AGENTS the weirdest of the systems, and would be interested to see out how well it works in general play. I read that FATE-based game Nova Praxis is also available in a Savage Worlds edition. I wonder if that would provide a useful point of comparison, as it would be possible to look at the same sets of stats and mechanics as implemented in two different systems!